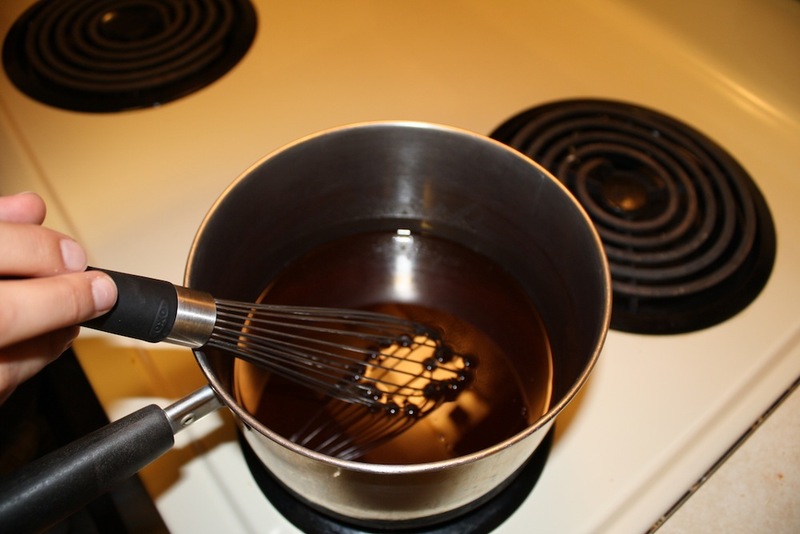 MIX & HEAT (DO NOT BOIL) - Oil, Honey, Syrup, Vanilla, Salt, & Cinnamon. Stir Occasionally so that sugar doesn’t stick to the bottom of the pan. COMBINE ingredients from step 3 to step 2. 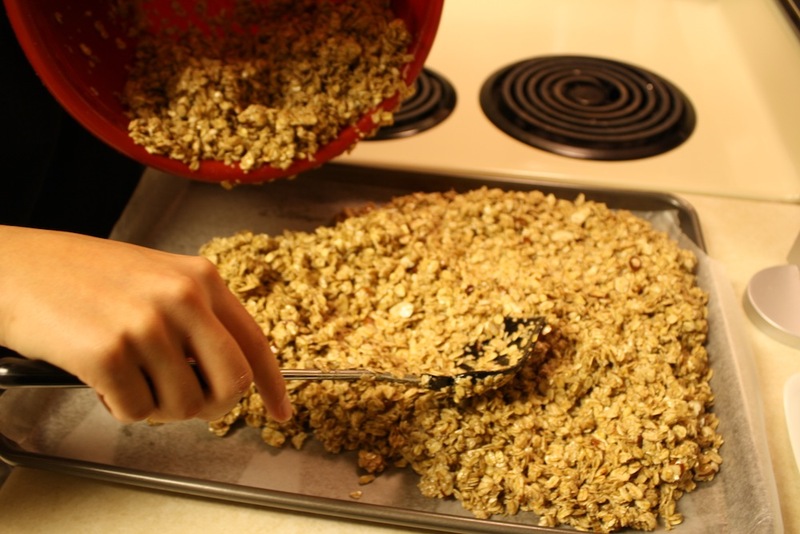 Line pan with wax paper, then spread granola mix evenly onto the pan. 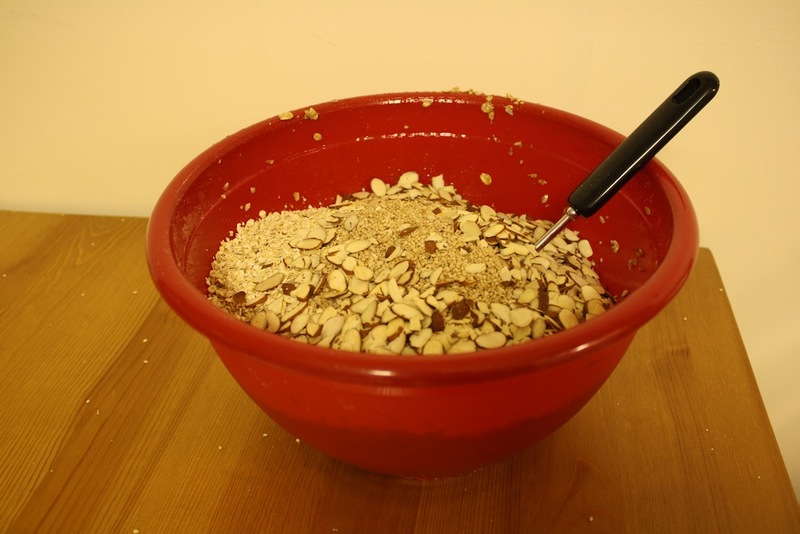 Only 1/2 of the mix will fit onto a single pan. 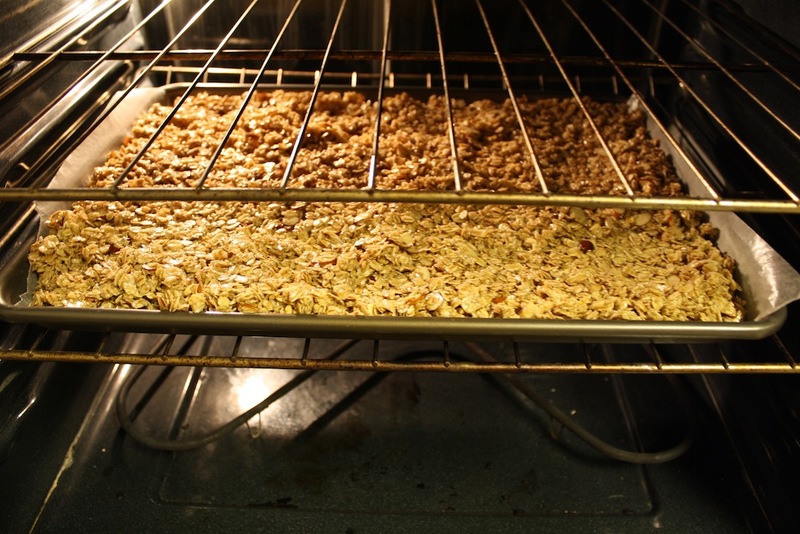 BAKE granola for 10 minutes. 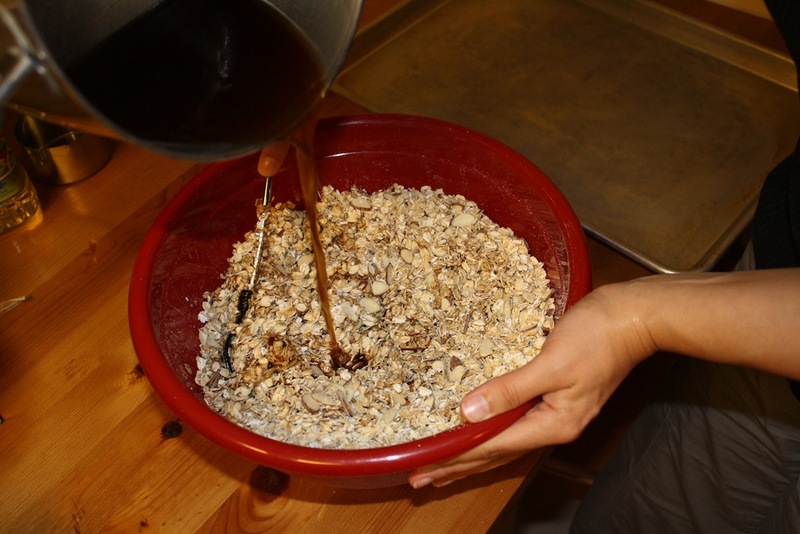 REMOVE and stir granola, BAKE for an additional 5 minutes or until desired consistency. 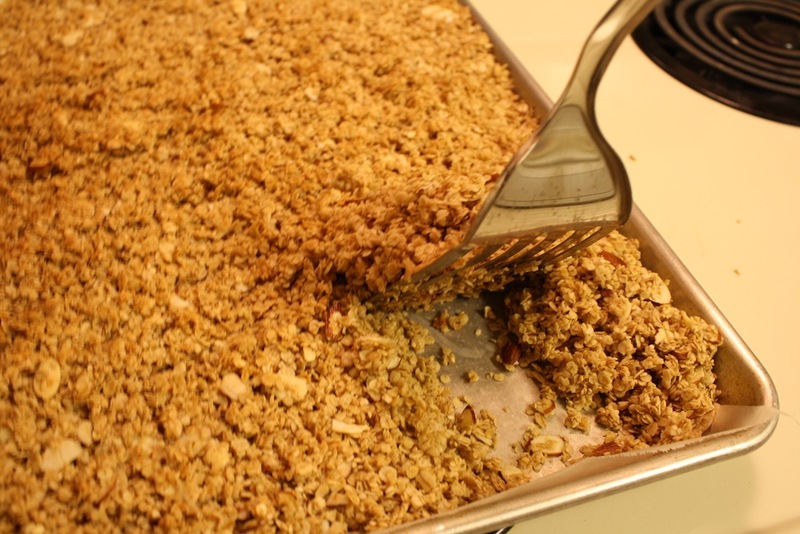 REMOVE granola and let cool. ADD Cranberries and Chocolate Chips. Cut recipe in 2 halves. 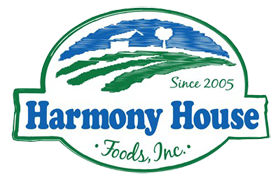 Make 1st half, then the 2nd half while 1st is baking. 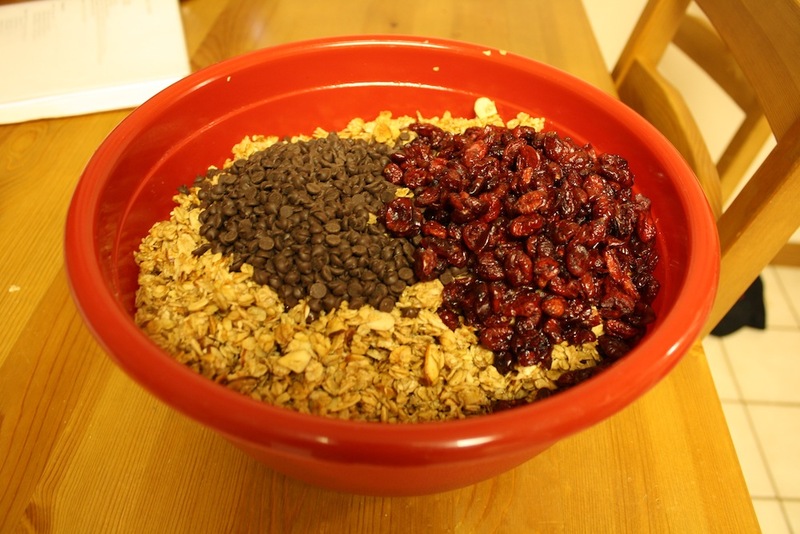 Add the Chocolate Chips while granola is still warm to coat it rather than have pieces of chocolate. This will make your milk a little chocolatey as well. If you don't like cranberries, this is great with raisins too. Like this recipe? 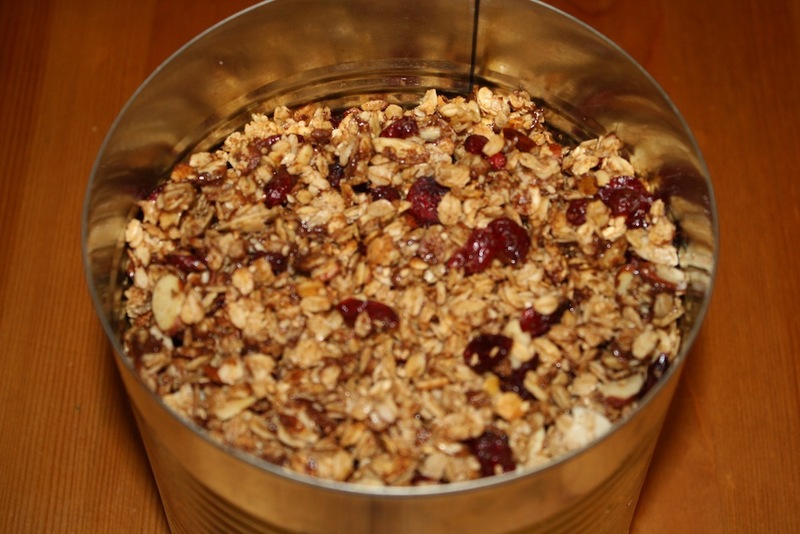 Go ahead... share the granola love on your preferred social network below! Questions? Suggestions? 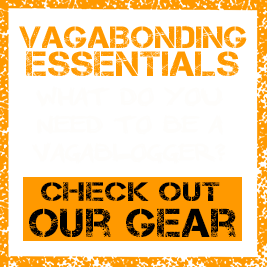 We want to hear! Comment and let us know!